BANKING Board members of Romania's Central Bank are today being heard in a joint Parliament session of the Senate's committees for economy and budget-finances. Central Bank governor Mugur Isarescu will be speaking about how interest rates on the inter-banking market are being calculated and also refer to the profit banks in Romania are making. According to Isarescu the data he is going to present is far from what has recently been presented by the media. In turn, the chairman of the Economic Committee, Daniel Zamfir has said that talks will also focus on how the ROBOR index is being calculated, according to the interest rate the banks in Romania are lending money to each other, being also part of the computing formula for credits in local currency. TALKS Parliament in Bucharest is carrying on talks over the country's budget this year. MPs are today discussing budgets for most of the ministries, the government secretariat, the state radio and television broadcasters, for the Agerpress news agency and the National Council of Audio-Visual. Debates are expected to end with Finance Ministry representatives who are to decide whether the funds requested through amendments submitted by opposition and power representatives, are to be granted. This year's budget has been based on 5.5% economic growth, a 2.5% deficit and a GDP over 200 billion Euros. TENNIS Two tennis players from Romania are on the main draw of the singles competition of the WTA tennis tournament in Doha, Qatar. The WTA's 29th Mihaela Buzarnescu will be up against 22nd - ranked Jelena Ostapenko of Latvia. The two are equal, 2-all, in head-to-head matches. The world's number third who is also the competition's odds-on favourite, Simona Halep will be playing directly in the second round against the winner of the match pitching Caroline Garcia of France and Ukrainian Lesia Tsurenko. Halep won the Doha tournament in 2014 after beating Angelique Kerber of Germany in the finals. UN Romania's permanent representative at the UN, ambassador Ion Jinga has attended the proceedings of the 57th session of the Committee for Social Development. Against the backdrop of Romania's holding the EU rotating presidency, ambassador Jinga presented on behalf of the 28 EU members, a statement on social inclusion through fiscal, salary and social protection policies. The Romanian diplomat has focused on the promotion of the European pillar of social rights and a pattern of social development based on sustainable economic growth, continuous professional training and employment policies focusing on the young people, the disabled and the family.  FLU The death toll of the flu epidemic in Romania has reached 109, the National Centre for the Supervision and Control of Transmissible Diseases with the National Institute of Public Health has announced. According to the country's Health Minister Sorina Pintea, for the time being, we cannot still speak about a decreasing epidemic. Data released by the aforementioned institute confirmed over 3000 cases of infection last week.